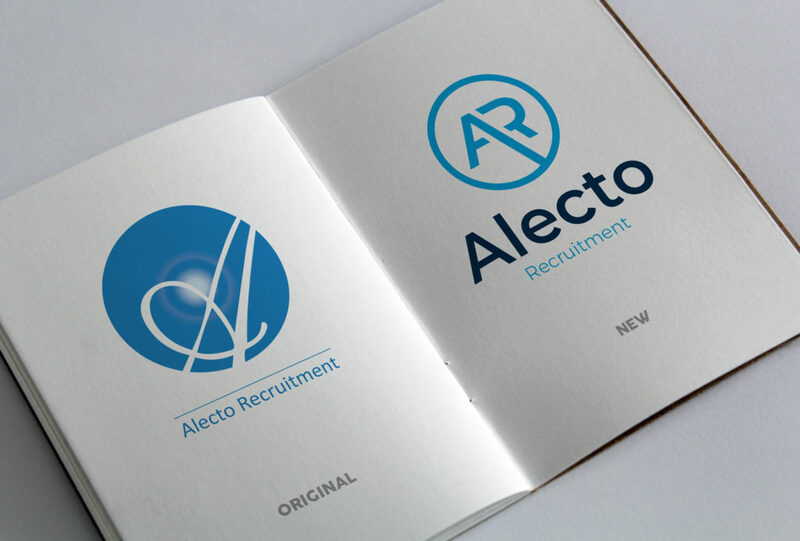 #InTheStudioThisWeek: Alecto Recruitment has launched its new brand and refreshed logo, designed by us here at Glow! 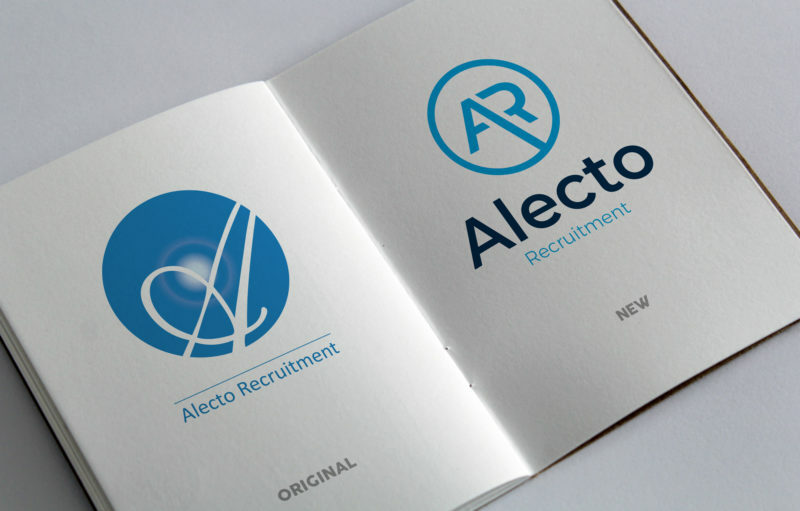 The Alecto team approached us at the beginning of the year to revamp their logo. Alecto Recruitment are one of the UK’s leading technical engineering source and selection companies, and are a long-standing client of Glow’s. In fact – they used to be our neighbours across the hall! It’s been amazing to see them grow in size and scale, and continue their success. The team moved into offices at the swanky 1000 Lakeside offices in Portsmouth, in February 2017, and now even have enough room for a table-tennis table (check out their facebook page). So, we were only too pleased to help them in creating a logo that reflected their success. We’ve kept the circular element of the logo and created a smart, modern ‘AR’ monogram, while increasing the hierarchy of ‘Alecto’ within the logo. We’re looking forward to seeing it rolled out across all their materials.